Family history may be the single most important aspect of treating patients with an inherited colorectal cancer syndrome. Clinicians face an uphill battle in learning to recognize the hereditary features of these syndromes and their implications. 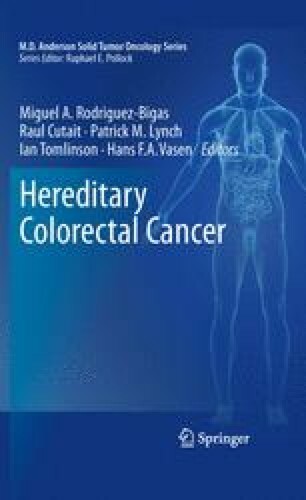 The International Society of Gastrointestinal Hereditary Tumours and the Collaborative Group of the Americas for Inherited Colorectal Cancer serve as resources for this service gap, recognizing the affected family as the “patient.” Referral to a genetic register will benefit the clinician and the patient. The process of genetic counseling provides a framework for understanding the intricacies of predictive testing. The challenges of informed consent and assent by adolescents; interpretation of uninformative results; patient confidentiality; and psychosocial sequelae are addressed by genetic registers.